Leading Manufacturer of die punching machines, printing die punching machine, automatic die punching machines, printing manual die punching machines, heavy duty die punching machines and printing automatic die punching machines from Pudukkottai. We are the leading supplier of Die Punching Machines made from high quality material at competitive prices. 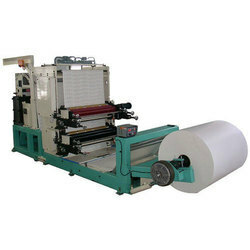 We are the leading supplier of Printing Die Punching Machine made from high quality material at competitive prices. We are the leading supplier of Automatic Die Punching Machines made from high quality material at competitive prices. We are the leading supplier of Printing Manual Die Punching Machines made from high quality material at competitive prices. We are the leading supplier of Heavy Duty Die Punching Machines made from high quality material at competitive prices. We are the leading supplier of Printing Automatic Die Punching Machines made from high quality material at competitive prices.